I'm comfortable with wearing flip-flops and thong sandals. My hubby always tell me that I have to wear high-heeled sandals and shoes so that my feet will get use to it. I always complain when I wear them. Most of the time, my feet ended up with corns that are painful. I have sensitive feet. I'm thin-skinned. So after a lot of discussions and considerations, I gave in. My sister is the on who choose this wedge. 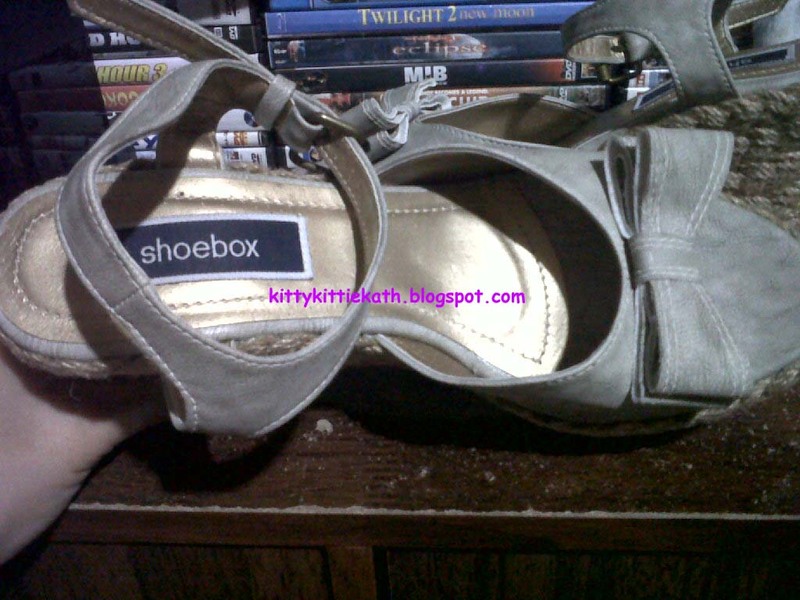 It's from Shoebox and me. I was hesitant at first because I don't know how to walk with tall sandals. It's 4 inches tall. I think I need to be confident with this new pair that I own now. 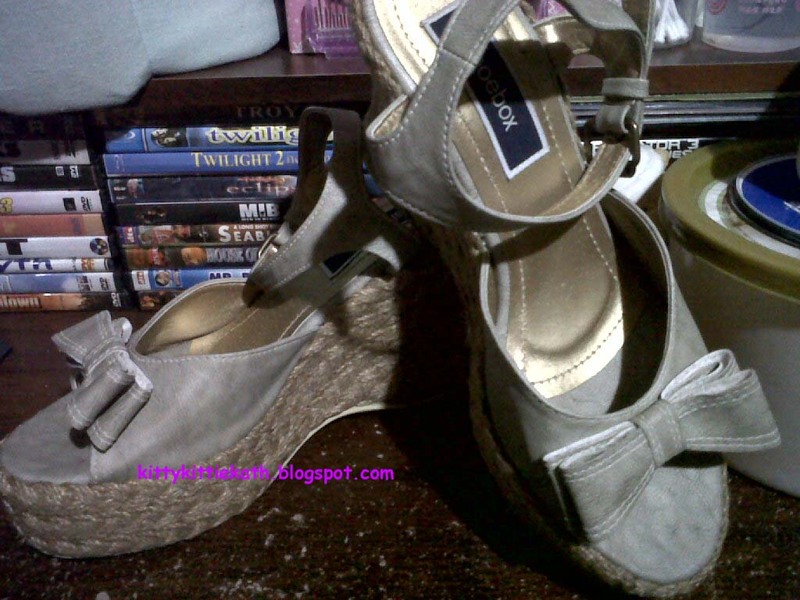 It is a cute Espadrille wedge with ribbon details in grey. I'm a size 8 and it only costs 799 php (Around $18.50+) and bought from Shoebox TriNoma. That's all for now. I hope I can walk with this new pair confidently. I need to bring band-aids with me in case my feet aches, I know I already have corns on them. 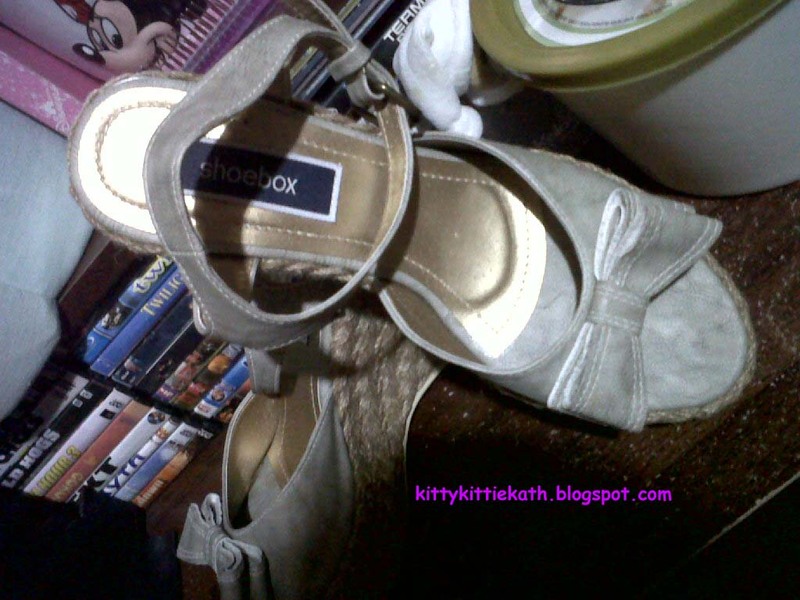 Can you recommend a brand where I can wear a comfy heels?Thanks for sharing! We usually buy our shoes from VNC and SM's Parisian. @marque lim- hi :) thanks for your suggestion.